Enhance your fertility. Maintain your pregnancy. Join us ONLINE for a workshop with three local experts to learn the best ways to your fertility and maintain a healthy pregnancy. We’re a group of health care providers that are empowering you to approach fertility naturally. We’re here not to simply give you information, but to empower you to make simple, practical changes in your life to maximize health and fertility, and do it all naturally. *Drs Keough, Hecker and Schoenwalder are providing information and services at this workshop solely for general illustration, educational and resource provision purposes and are not intended as a substitute for the advice provided by your healthcare professional or physician. Learn important steps you should take to make sure your thyroid hormones are ideal for pregnancy. What can I do naturally for my thyroid? What symptoms would I have if my thyroid was off? What do I need to be aware of if I am on thyroid meds and want to get pregnant? How can I support my adrenal glands as a central predictor of health? What habits can I start for getting good sleep? Learn what activities you are doing during the day that may be helping or hindering your emotional health and lowering your chances of conception. What routine activities are you doing throughout the day? What surrounds you and how does your environment affect you? Learn why many birthing professionals (OB/GYN/Midwives) are concerned about the MTHFR gene and how it impacts conception and detox pathways. What do I do if I have this gene? What supplements are the best for this genetic polymorphism? Is detox safe in preconception and pregnancy? Learn how our structure can impact our overall health and wellbeing and improve chances of a healthy pregnancy. Why is balance important for fertility? What is the main system in charge of controlling all the body’s functions? What happens when my structural alignment is off and how can it be improved? Learn….How identifying food sensitivities and improving digestive health can increase your odds for a healthy pregnancy. How do I know if I need digestive health support? What are the most common food allergens that impact fertility? 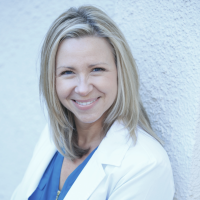 Dr. Emily Hecker is a board certified chiropractic physician who is passionate about Functional Medicine. Patients seek her out specifically for nutrigenomic support for those who have a genetic polymorphism for MTHFR, Histamine Intolerance and Fertility. Her passion for natural health care started when her aviation career required her to work at a desk job, leading to chronic back pain. She was amazed at how a chiropractic physician was able to evaluate her body and tell her where she was unknowingly in pain. After a few adjustments, she was pain-free and never needed pain killers to manage her chronic back pain. As private pilot and meteorologist in her previous career, Dr. Emily discovered the human body was similar to operating an aircraft in a thunderstorm, where everything had to be in balance to function perfectly. She is owner of Enlighten Functional Medicine. 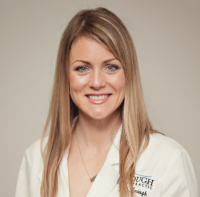 Dr. Felicity Keough has a passion for helping others achieve optimal health and wellness. From a young age she suffered with severe menstrual pain which was debilitating and rendered her useless for several days out of each month. She was even told that she would never be able to conceive a child. Through many years of trial and error she has overcome severe pain and hormonal imbalance that affected her throughout most of her teens and early 20's. Patients of all ages seek care in her clinic for family wellness care, acute and chronic pain, hormone imbalance, infertility, digestive support, prenatal and postnatal care. Her clinic also focuses on the care and treatment of the very young patients dealing with birth trauma, colic, reflux, ear infections and much more. She is owner of Keough Chiropractic. Dr. Michael Schoenwalder has been a practicing, board certified Internal Medicine physician since 2005. He received his Doctor of Osteopathic medical degree from Des Moines University in 2002, finishing third in his graduating class. He completed his Internal Medicine residency at Mercy Hospital in St. Louis in 2005. After 10 years of practicing traditional Internal Medicine, he became frustrated with the current healthcare system. Because of this, he decided to further his education by attending the University of Southern Florida for functional/preventative medicine from 2012-2013. He loves this new focus of medicine. 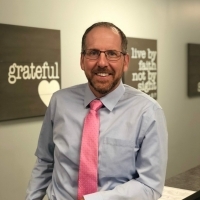 In the five years that he has incorporated this into his practice, Dr. Mike has seen first-hand how beneficial it is to shift the focus from an isolated set of symptoms to treating the whole person. He routinely maintains his credentials and certifications with various continuing education programs. Find out more at DrMichaelSchoenwalder.com. Download our 10 Easy Ways to Boost Fertility below.